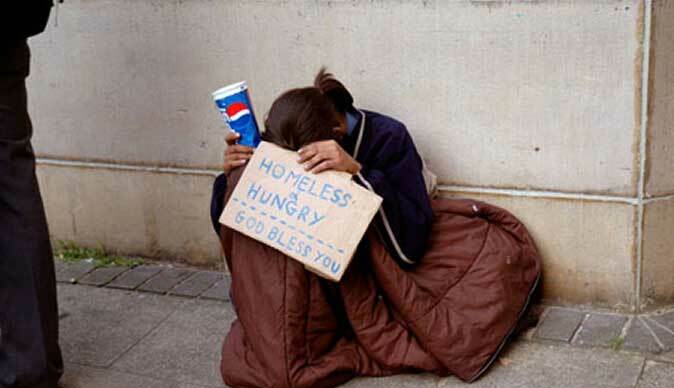 THE number of people seeking help for homelessness has risen in Wales UK, official statistics have shown. Homelessness charities blamed the economic slump, high unemployment and a lack of affordable housing for the 9% increase in people seeking help last year. The statistics showed that between July and September last year, some 1,606 households were accepted as homeless by councils in Wales, up from the same period a year before. Ceri Dunstan of Shelter Cymru said: "This is a dramatic increase and confirms our concerns about the cumulative impact of the recession, increasing unemployment and a drastic shortage of affordable homes in Wales (UK). "As far back as last summer, nearly 50% of people who took part in a survey carried out for us by YouGov said that they struggled at least some of the time to pay their rent or mortgage. "The UK Government's cuts to housing benefit and other welfare changes will, in our view, make this situation even worse in the months to come as people are more likely to fall into arrears." The number of people being made homeless because of mortgage or rent arrears is also rising. Some 74 families lost their homes between July and September 2010, a 14% increase in a year. The period from July to September 2010 also saw a 2% increase in the number of people in temporary accommodation, as well as a 9% increase in the number of households in bed and breakfasts, compared to the same period in 2009. Families with children made up 8% of those in B&Bs compared to 3% a year before, a 26% jump. Welsh Liberal Democrat housing spokesperson, Peter Black said: "This is a worrying increase. The impact of temporary housing on the health of these families, both physically and mentally, is devastating. "The Labour Government left this country in a mess and Welsh families are suffering as a result. The recession was bound to impact on families who would struggle to keep up with mortgage or rent payments and the Welsh Assembly Government is failing to support them."